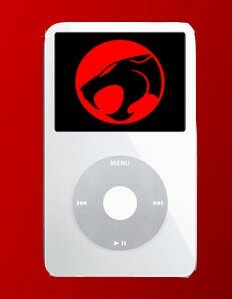 The ThunderCatsNOW Podcast is where we discuss news and topics related to the ThunderCats. Brought to you by the team at ThunderCatsNOW which includes Manny, Celesta and Brandon. Guests have included Peter Newman (voice of classic Lion-O), Dan Norton (New ThunderCats Art Director and Anthony Giovanniello (classic ThunderCats sound engineer). ThunderCast Episode 10 – Interview With ThunderCats Book Author! ThunderCast, the world’s first podcast dedicated to ThunderCats, is back with a brand new episode! This episode is a special edition, featuring an exclusive interview with David Crichton, author of the new book Hear the Roar! 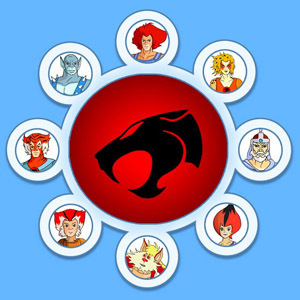 The Unofficial and Unauthorised Guide to the Hit 1980s Series ThunderCats! ThunderCast Episode 9 – Series Premiere reactions, and more! ThunderCast Episode 8 Hits the Airwaves! Once again it’s been a little while between episodes, but the latest episode of ThunderCast, featuring ThunderCats Lair team members Nick Mills, Chris (He-Fan) and Manny has now hit the Internet! ThunderCast Episode 7: We’re Back!